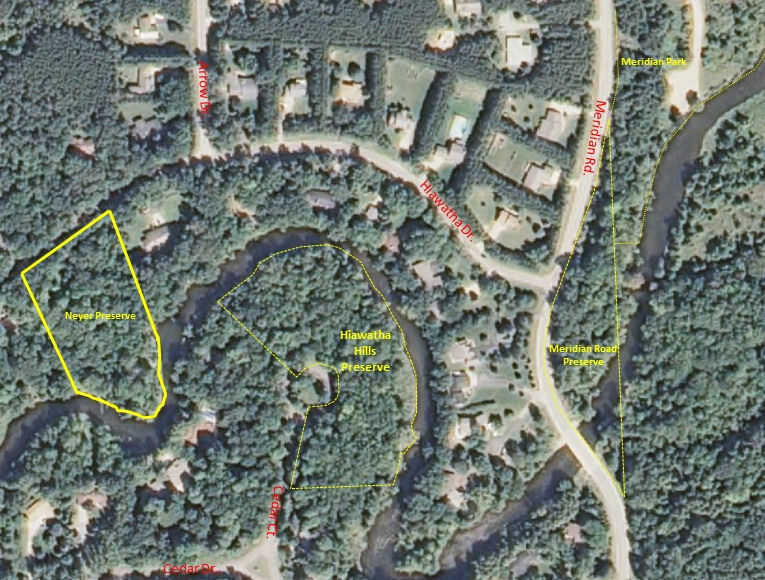 Established in 2006, this 2 acre preserve protects over 440 feet of Chippewa River frontage and is a 100 percent wooded parcel in Deerfield Township, Isabella County used primarily by the residents of Hiawatha Hills west of Mount Pleasant. The preserve is on the south side of Hiawatha Drive, about 1/4 mile west of the intersection with Meridian Road. Park along the south side of Hiawatha. The Hiawatha Hills and Meridian Road Preserves are nearby.